who travel, live and have connections in different countries around the world. many high net worth individuals with global and complex assets. There are many different issues arising on separation, divorce and dissolution of civil partnerships, especially if you are part of an international family with connections to more than one country. Resolving financial matters following your separation can be one of the more difficult areas to agree with your husband or wife or civil partner, made more complex if different jurisdictions are involved. When an adult relationship breaks down children are often caught in the middle. When parents are unable to agree on their child's care we can provide specialist legal advice and practical guidance. When one parent takes or keeps a child abroad without the permission of the other parent (or those with parental responsibility), time is of the essence and speedy legal advice is vital. There are various forms of dispute resolution which help parents, couples and others resolve their family disputes without going to court, retaining access to quality and reassuring legal advice. Increasingly more couples wish to enter into agreements to regulate financial matters should their relationship end - but requirements vary from country to country. 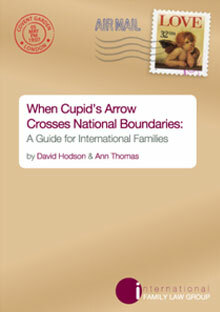 "When Cupid's Arrow Crosses National Boundaries" by David Hodson OBE and Ann Thomas is the essential guide for international families. 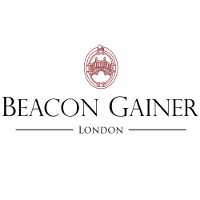 The International Family Law Group LLP is a limited liability partnership registered in England (company number OC362777) whose registered office is at Hudson House, 8 Tavistock Street, London, WC2E 7PP. A list of the members of the LLP is displayed at the above address together with a list of those individuals designated as partners who are not members of the LLP. We are a firm of solicitors practicing in the UK. As solicitors we are authorised and regulated by the Solicitors Regulation Authority (SRA ID: 560727) and are subject to the Solicitors Code of Conduct 2011. We have developed this Digital Tool to help you navigate your way through the most common legal questions which may arise during or at the breakdown of a relationship and to help you know your rights. At iFLG, we believe in helping families to understand the law and resolve any family disputes as simply, quickly and cost effectively as possible. Personalised legal advice should always be taken. Particular circumstances may change the outcome. Our lawyers are available to help on +44 (0) 203 178 5668 or financialremedies@iflg.uk.com. We have developed this Digital Tool to help you navigate your way through the most common legal questions which may arise when resolving the financial outcome of a divorce or civil partnership dissolution. At iFLG, we believe in helping families to understand the law and resolve any family disputes as simply, quickly and cost effectively as possible. Legal advice should always be taken. Particular circumstances may change the outcome. Our lawyers are available to help on +44 (0) 203 178 5668 or financialremedies@iflg.uk.com.